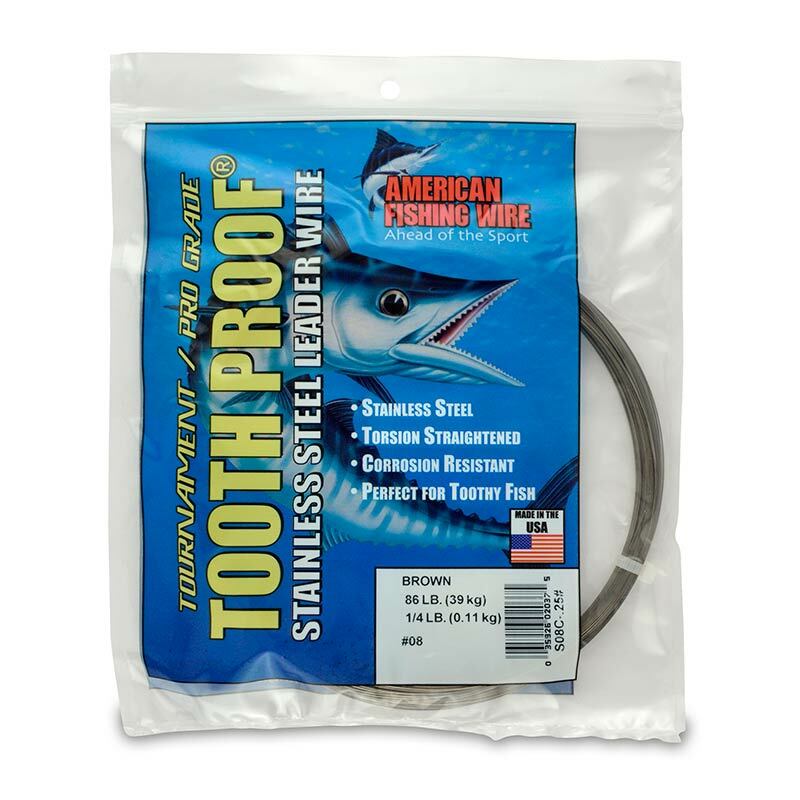 American Fishing Wire Tooth Proof Stainless Single Strand Wire is used for toothy predators to prevent bite-offs. 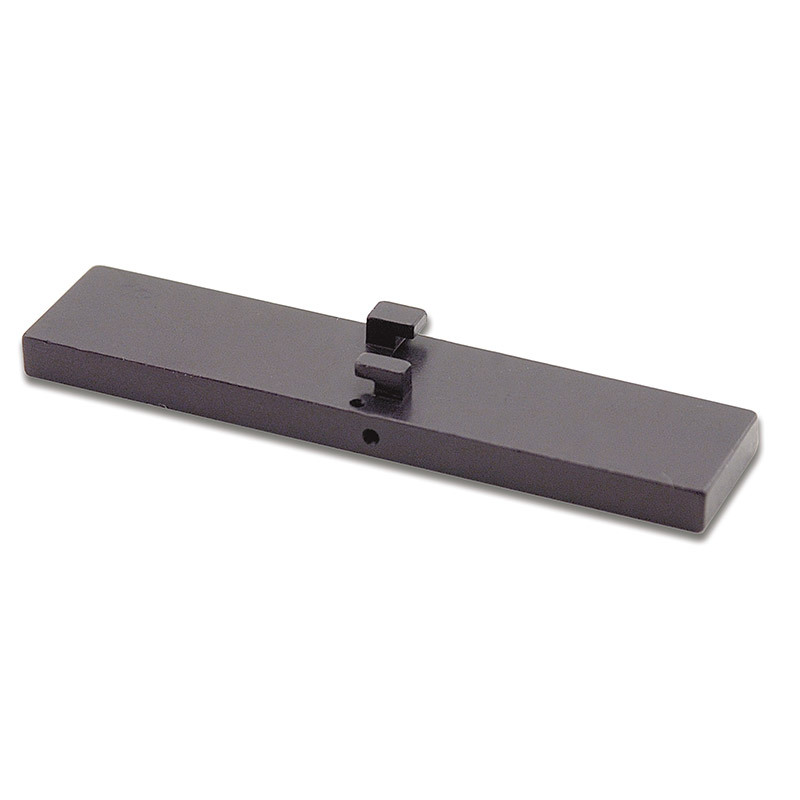 Although less flexible than multi-strand it's thinner and stronger for it's breaking strain. Made in the USA. 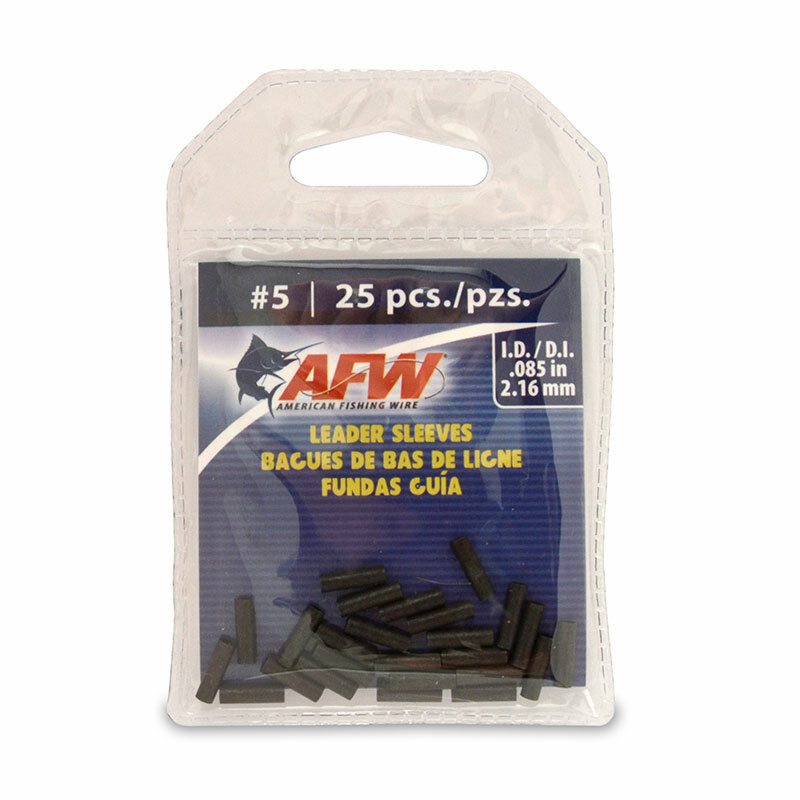 This wire is also extremely popular with the model racing yacht sailing enthusiasts. This high quality stainless steel wire is torsion straightened to give good presentation for many toothy fish. 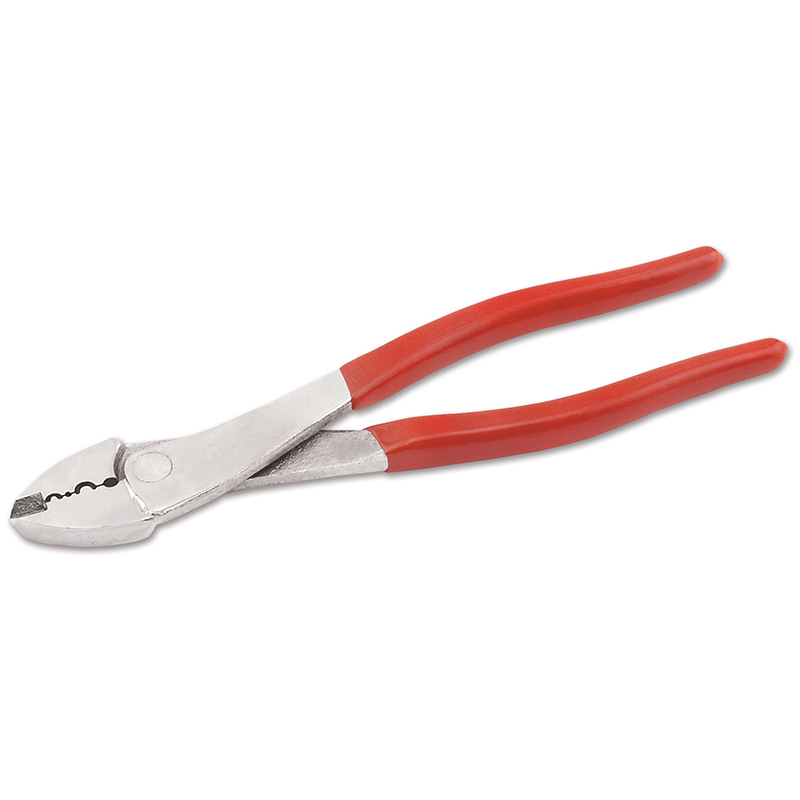 It provides maximum protection against the ferocious jaws or barracuda, king mackerel, wahoo and others, Made from specially controlled Type304 stainless steel alloy to be hard, but not brittle, and to deliver the perfect combination of flexibility and strength. Some anglers believe it is also stronger as the fishes teeth won't pick it apart like a multi-strand. Connect to mono with an albright knot or to leader components or hooks with a haywire twist. Instructions on back of pack. Made in the USA. This high quality single strand wire is very popular with the radio controlled and free sailing model yacht community as it provides excellent stainless steel rigging cable and control cable material.